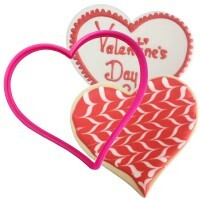 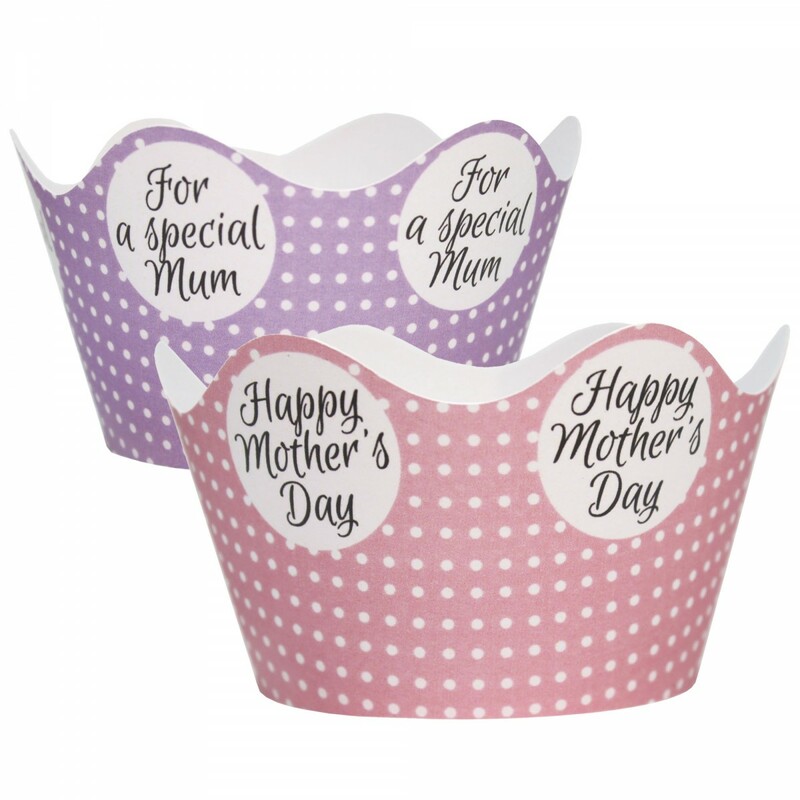 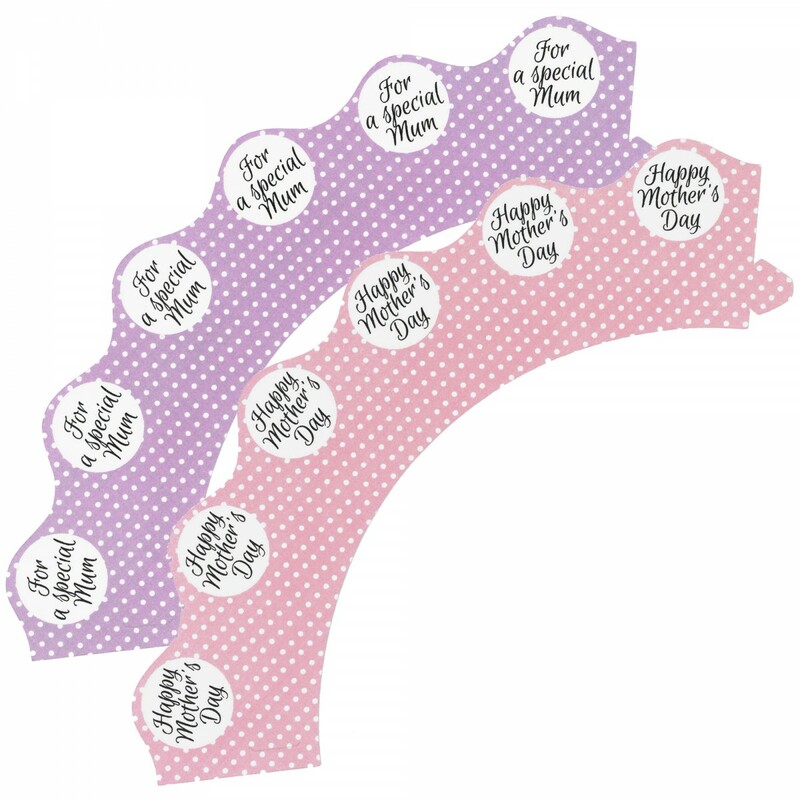 Make Mother's day extra special with these fabulous cupcake wraps in Lilac & Pink. 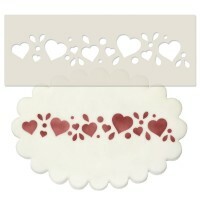 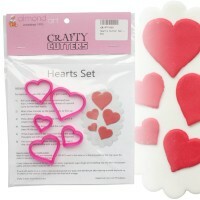 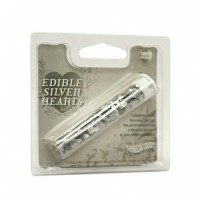 Show your mum how much you care this Mother's day with these fabulous cupcake wraps. 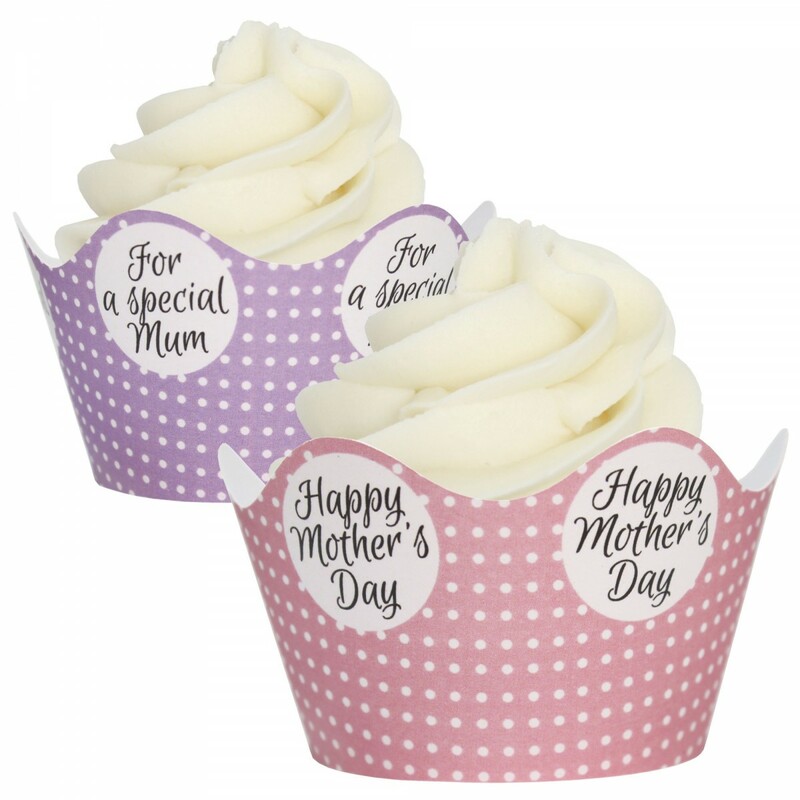 Bake your cupcake in a standard case and decorate it, then assemble the wrap around the cake by inserting the tab into the slot. 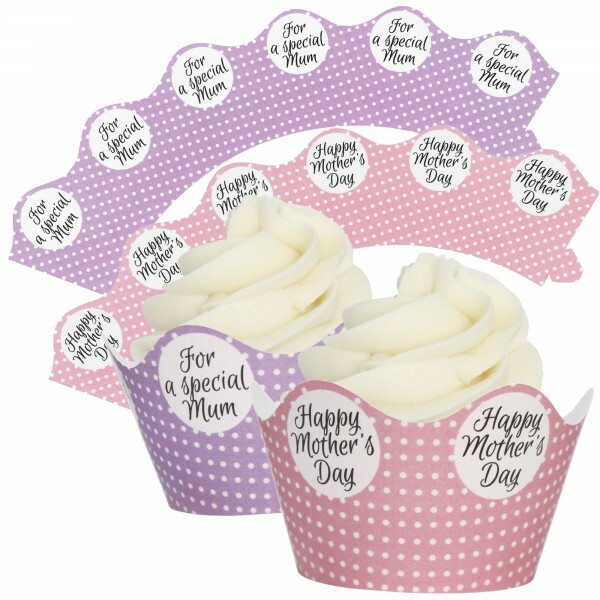 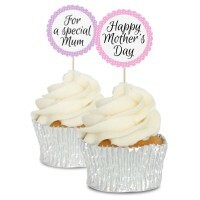 Wording "Happy Mother's Day" & "For a Special Mum"
Cupcake not included, used for illustration purposes only.